The Inspiron 13 laptop is a great choice for back to school shoppers looking for a smaller, lighter, more efficient mobile PC. With a starting weight of just under 5 pounds, the Inspiron 13 combines a simple and clean design encased in glossy Pacific blue with black trim. Smart features include a 13-inch high definition display, capacitive touch media buttons, 8-in-1 media card reader and slot-load DVD drive. Optional features include built-in wireless networking, built-in webcam and Bluetooth connectivity. A special $699 configuration of the Inspiron 13 will be available at Wal-Mart in the U.S. starting Aug. 3. Fully configurable systems will be available on www.dell.com on a global basis later in the month. The Inspiron 518 desktop features a gloss-black exterior with chrome accents. Families will appreciate the top media tray with two easy-access USB ports for quick MP3 player syncing and cell-phone charging. It provides performance to meet the most typical family PC activities, like faster networking connections with Gigabit Ethernet, DX10 integrated graphics for casual gaming, optional 500GB hard drive for storing digital images and music libraries, and optional quad core processors. The Inspiron 518 starts at $349, and is available immediately on www.dell.com. · Dell Support Center: Centrally located, easy-to-use application providing personalized support resources with quick links to service, support and system information resources www.dell.com/dellsupportcenter. · PC TuneUp: An easy-to-set-up smart tool that helps manage regular maintenance of a consumer's PC. Automatically finds and fixes issue that slow down system performance. 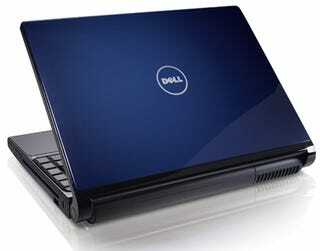 Available for $39.95 at www.dell.com/pctuneup. · Dell Dock: Automatically sorts pre-installed software into user friendly categories placing the most frequently used programs front & center. · Dell Video Chat: A one-click easy to setup and use video and voice communication program that can be shared with friends and family, www.sightspeed.com/dellvideochat.